Since my recent return from March of the Living at Auschwitz, I’ve written a series of articles on both my experiences at the death camp and the harrowing mental processing that’s followed. When you visit a place like Birkenau, where the very earth you walk on is soaked in the blood of innocent men, women and children, there is simply no limit to the pain, loss, and righteous indignation one can feel for their deaths. But there’s another side to the equation. 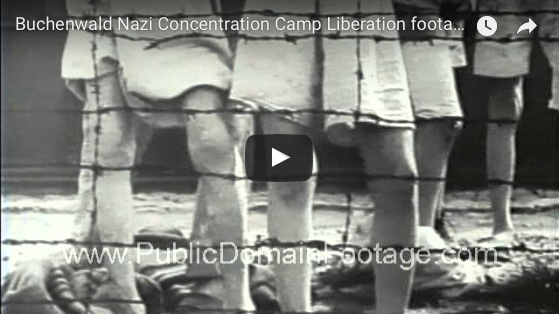 There weren’t just victims at the death camps — there were perpetrators, too. Who were these people? How could they have done this? What brand of brutal inhumanity could ever possess a man so deeply that he could herd droves of children into a furnace? Well, if you’d been reading the signs at Auschwitz-Birkenau or almost any other concentration camp, you may be led to believe they were: a special brand of beasts known as Nazis. There is almost no mention at the camps of where these Nazis came from, what they believed, or what they were fighting for. They might as well have arrived from another planet. One would, in all likelihood, find no evidence that these men had anything to do with a Western-European state called Germany. That they came from Germany, believed in Germany, fought for Germany, and killed for Germany. In my humble opinion, that’s a problem. The truth is, these men weren’t monsters. They were ordinary people, just like me and you. They had families, girlfriends, pets and gardens they’d tend to. Hitler himself was known for the warmth and love he felt for his dog, Blondi. Many of those who perpetrated the holocaust were not just professional killers — they had advanced degrees in such areas as agriculture and the humanities. Ludolf von Alvensleben, one of the SS leaders in Poland and Crimea, had a degree in agronomy, for example, and spent his years after the war overseeing fisheries in Argentina (no, he was never brought to justice.) Hans-Adolf Prützmann likewise earned a degree in agriculture just a few years before he would oversee the Einsatzgruppen detachments that perpetrated the Holocaust in the Baltic States. Paul Blobel, who murdered over 33,000 Jews in the forest of Babi Yar and commissioned the first gas vans, was a trained architect and spent nearly a decade in that profession. Richard Baer, who ran Auschwitz in the last year of the war, was a trained confectioner. Yes, one of the men who ran the world’s largest factories of death originally made sweets for a living. The Nazis were not monsters at all. They were in fact people who believed so deeply in the superiority of Germany and its godlike Fuhrer that they’d kill 6 million innocent people to advance their national cause. Twice in 1932, the German people elected the Nazis as the largest party in the Reichstag, and in 1933, the Nazis got 43.9 percent of the popular vote — making the Nazis Germany’s most popular party by far. Then, in 1933, the parliament voted to allow the Deutschnationale Coalition to govern without the consent of parliament members. The law itself was unconstitutional, but it was passed with such an overwhelming majority — a majority large enough to change the constitution — that the democratically elected parliament didn’t even bother taking the step to legalize their measures. Following the death of President Hindenburg in August 1934, Hitler gave the German people a referendum whereby they would approve his assumption of supreme power. Here, over 88 percent of the population voted for the Fürher. Finally, in the German and Election Referendum of 1936, 98.8 percent of the German population voted in support of Hitler, a level of popularity unparalleled in history. This election, I must mention, took place just after the passage of the notorious Nuremberg Laws, which stripped all Jews and other non-Germans of all rights. Sure, Hitler didn’t campaign on promises of a Holocaust, but as the Nuremberg Laws had shown, his outspoken hatred of the Jews and his willingness to act upon his virulent anti-Semitism was abundantly clear. Worst of all, once Hitler did begin to perpetrate unprecedented atrocities, the German people, by and large, stood fervently by his side. According to historian Ian Kershaw, German popular support for Hitler reached its peak when he returned from his tour of the newly conquered Paris in July of 1940. By this time, the Einsatzgruppen had already begun their campaigns of systematic murder throughout Poland. Over 95,000 Jews had been deported as part of the Nisko Plan. 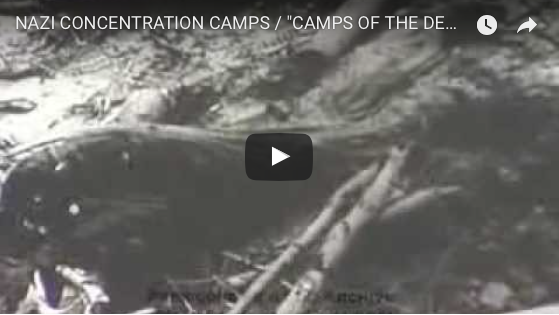 Concentration camps were up and running. And Reinhard Heydrich had begun to hole up all of Poland’s Jews in the squalor of the ghettos, where thousands died from maltreatment, disease, starvation and exhaustion. So let’s say it as it is: the Holocaust wasn’t a crime perpetrated by just the Nazis, a political party, but one supported and therefore committed by the German people as a collective. This is not to say that Germans today are culpable for the actions of their forbearers. Judaism has never preached vertical accountability, where children must bear the guilt of their ancestors (18 Ezekiel says most emphatically they do not). But what we do demand is horizontal accountability, where if an entire nation elects, supports and executes the orders of a murderous government like that of the Nazis — especially when they do so enthusiastically — then they must own the crime. If there’s any reason we must remember the Holocaust, aside from its own sake, it’s so that we never allow it to happen again. To do that, we have to foresee potential mass killings before they start. And if we have any hope of achieving that critical goal, we need to understand that mass murderers like the Nazis can rise up at any place and at any time. It is for this reason that our organization, The World Values Network, plans to announce, at our May 21 Gala in New York City honoring the memory of our friend Elie Wiesel, and in the presence of Rwandan President Paul Kagame, the creation of a global anti-Genocide initiative with offices in New York, Jerusalem, and Kigali, Rwanda. As I walked through Auschwitz and saw that all the signs said “Nazi” without mention of the word “Germany,” I felt like I was being subjected to historical revisionism of the worst kind. I felt like museum curators were inadvertently trying to load the blame of the Holocaust upon a foreign screed of devils who somehow made it onto earth. That they were a historical fluke, an exception to humanity’s rule, some sort of once-in-a-historical-lifetime aberration. But they weren’t. They were people. And people today can become whatever it is that they choose to become. Yes, Bashar Assad can embrace the ideology of the mass murder that we associate with the Nazis — as the death toll in his country nears the half-million mark, he’s well on his way. The mullahs in Iran, threatening as they are to raze Israel to the ground and wipe it off the map, are using 1940s Germany as their model. Perpetrators of genocide can and will rise so long as we fail to see them. So long as we dissociate the crimes of the Nazis from the nation of Germany, we push the concept of genocide one step further away from our collective consciousness and out of our world. In a world, however, where mass killing and the threat thereof is a regular reality, our awareness of genocide needs to be right here with us always, down to- earth and firmly set within our minds.